Tomorrow I will be fulfilling the promise I made to myself a little less than two years ago by going back to Belize. 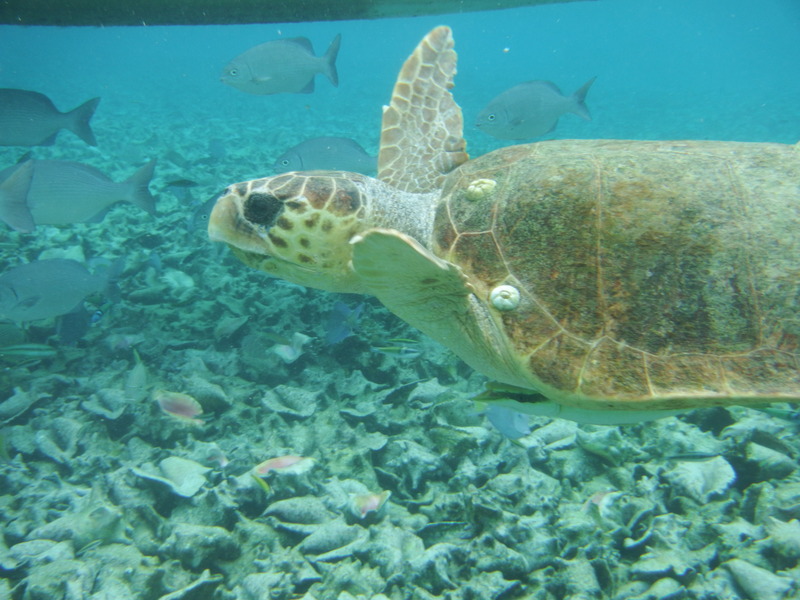 After my first experience in Belize, I am more than excited to return solely for the purpose of studying the country’s biodiversity, especially its coral reefs. Experience is the greatest teacher and I am prepared to go into this trip with an enthusiastic mindset in order to come away with a greater understanding of the tropics. This lab course is the result of a culmination of many months of preparation and reading. I purposefully chose to take EBIO 213 and Coral Reef Ecosystems this past spring semester, and also chose stony corals and bleaching as my topics for lectures, in order to glean as much as I could this semester. I have several goals: attract an orchid bee, find an Acropora palmata or Acropora cervicornis, and identify at least seven different species of stony corals correctly. The only thing that makes me nervous is the bugs. I know they are there, just waiting to bite me. That is one of the reasons I love the ocean. No bugs. I am most excited to stay at Glover’s Reef. My experience in the tropics is minimal I would say. I’ve been to Hawaii, Belize, and the Bahamas. In every location I have sustained numerous, if not catastrophic, amounts of bug bites. This time I am armed with hydrocortisone. The good news is that I love humidity and can adapt fairly easily to hot and muggy conditions. Photo by moi. Jun 9, 2014. 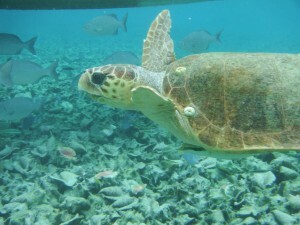 Here is the sea turtle I met from my first visit!